Another MOD Pizza job! 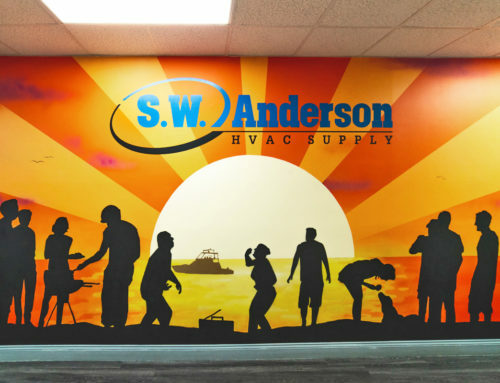 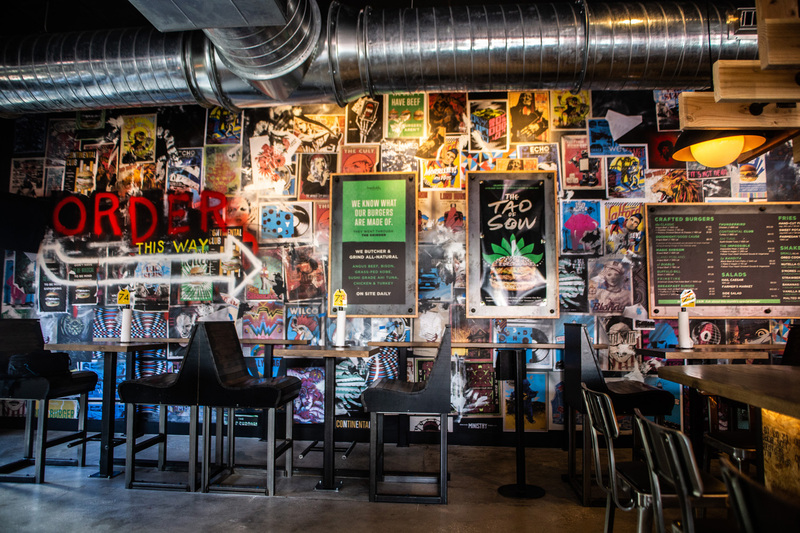 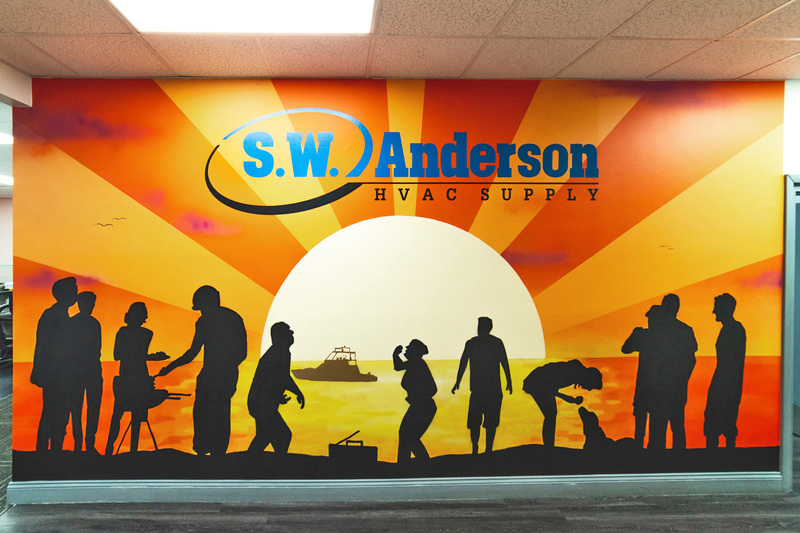 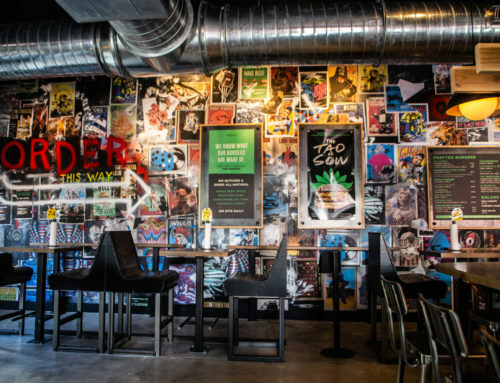 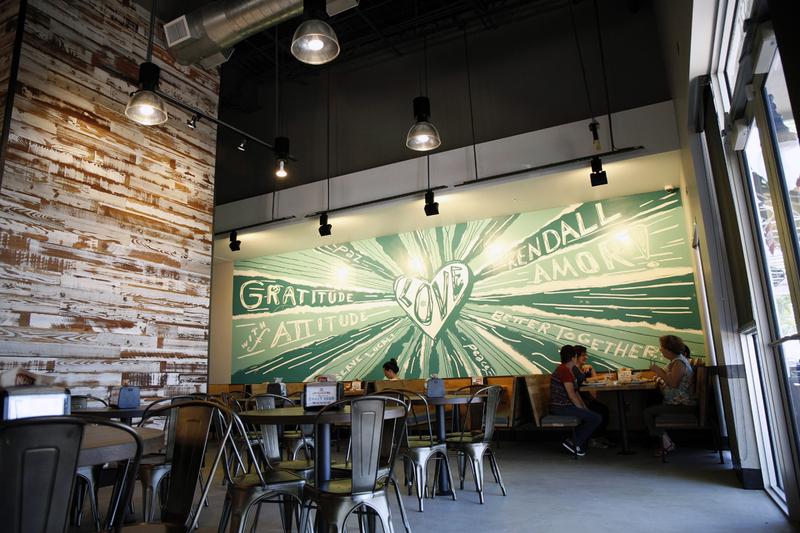 MOD liked the artwork we did for their Bellevue Factoria Seattle location so much that we replicated the design down in Miami. 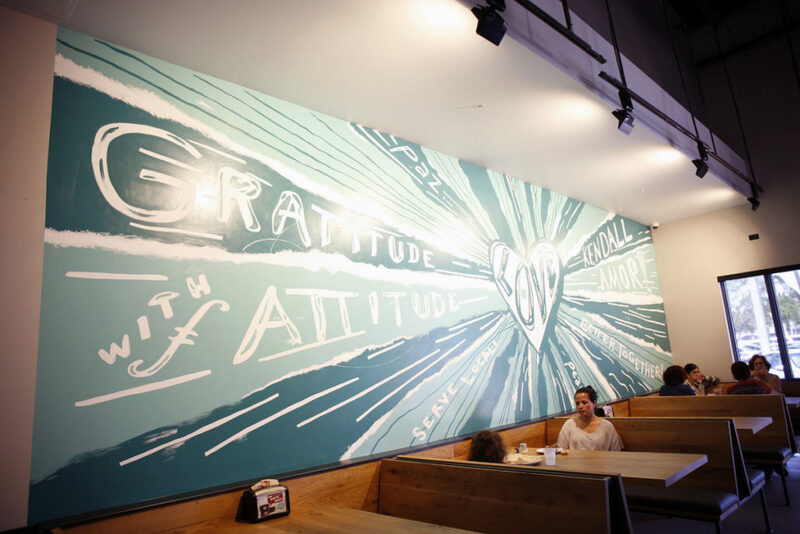 Gratitude with attitude and supporting the local art scene – how great! 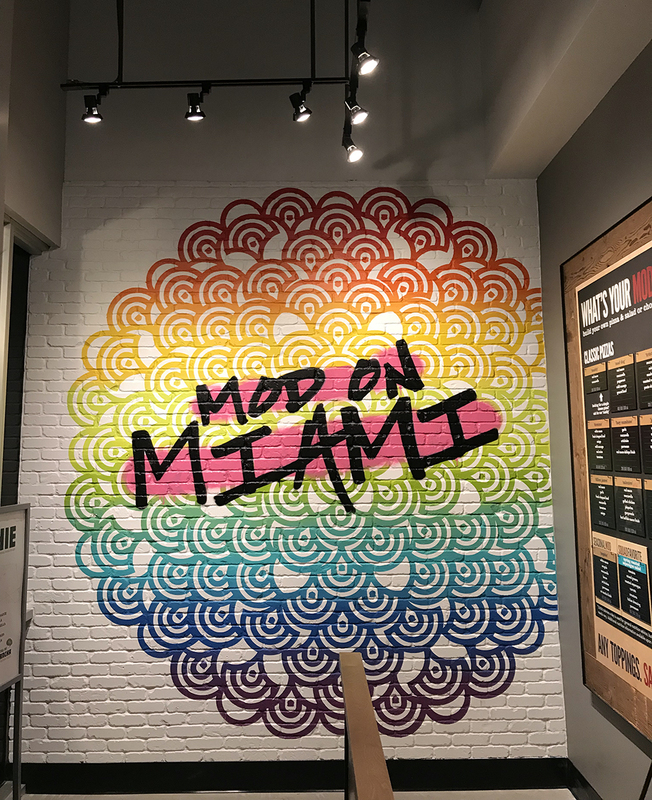 Our artist also created a very intricate mandala utilizing a vinyl install as a stencil and then creating a rainbow gradient with spray paint and the words “MOD on Miami” overlaid on top. 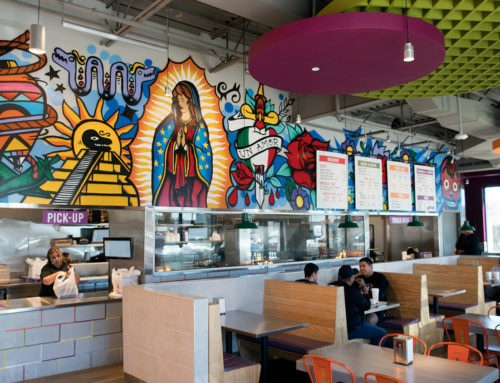 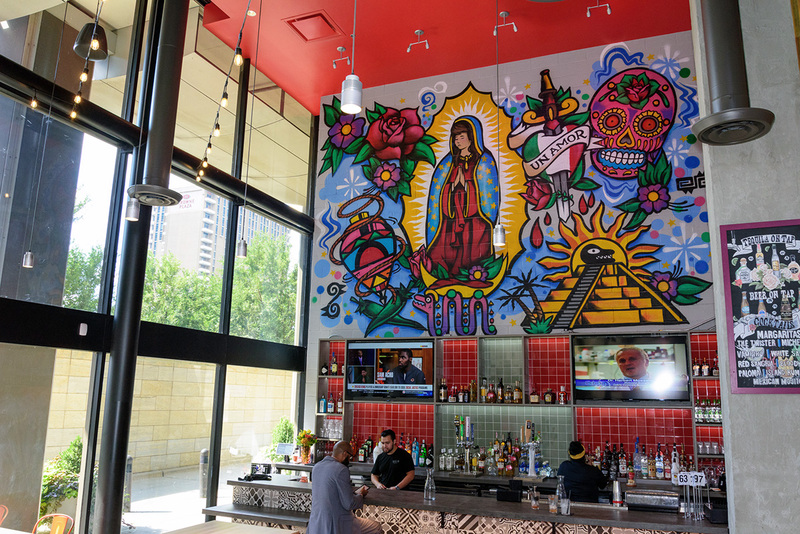 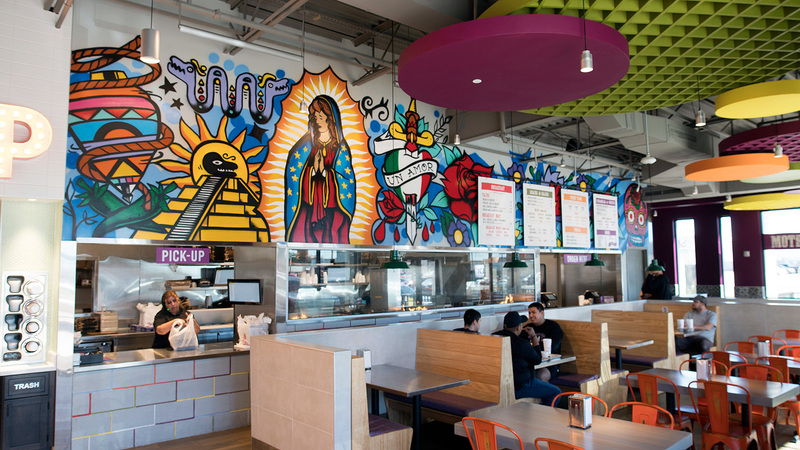 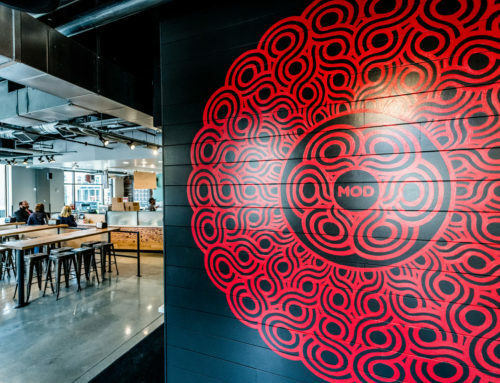 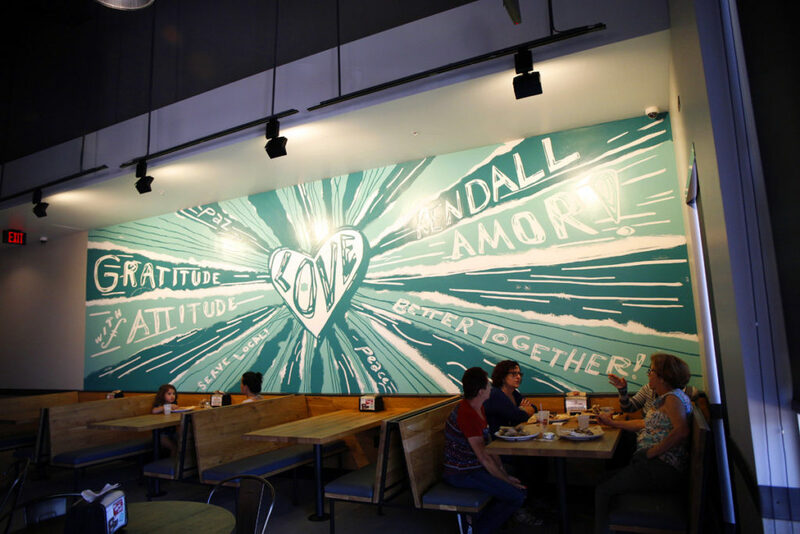 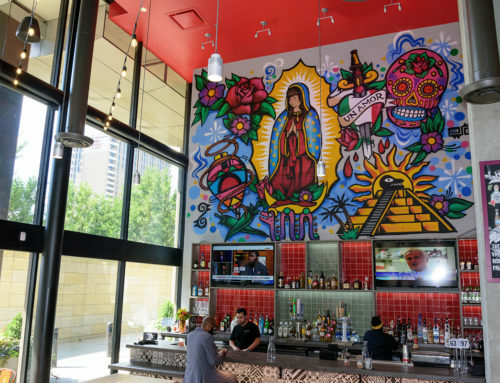 The mandala turned out fantastic and has been a recurring install at many MOD Pizza locations, along with their stable MOD Pizza mantra, “We make pizza so we can serve people. 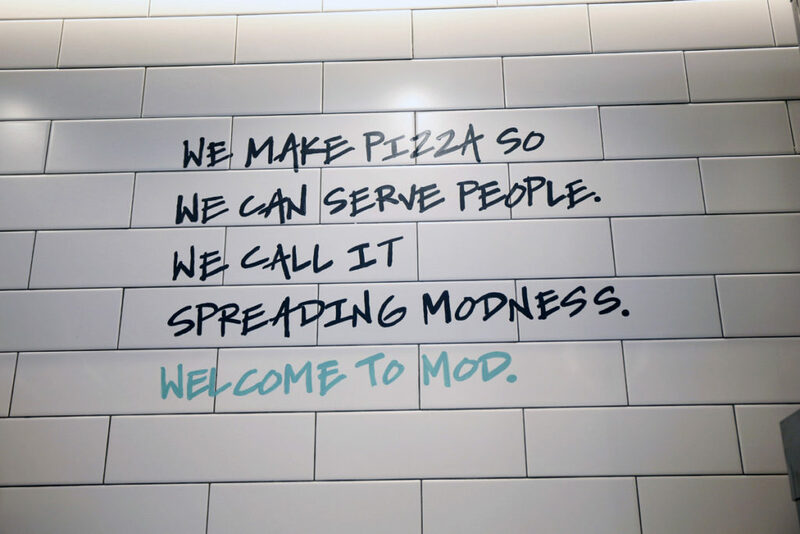 We call it spreading modness. 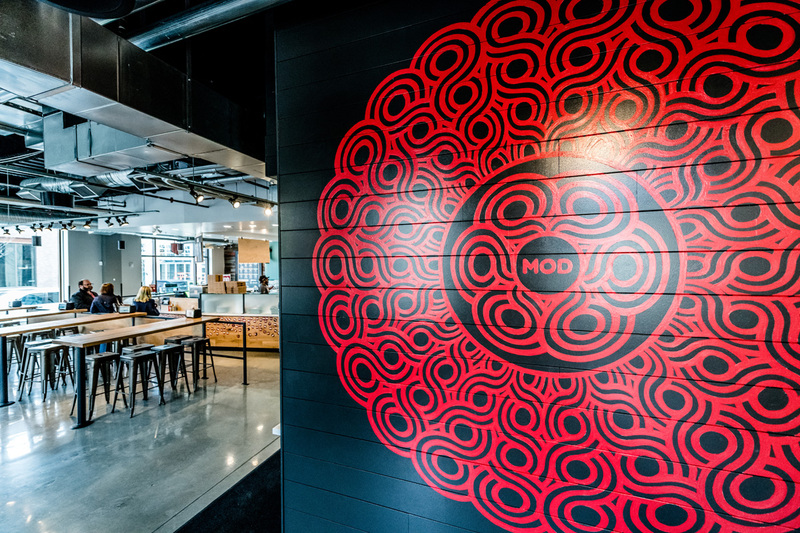 Welcome to MOD”.